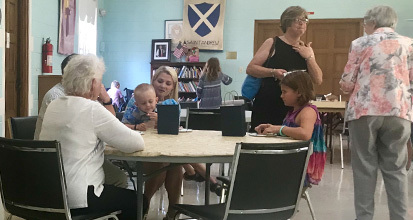 The Parish Life is a Ministry at Saint Andrew’s which strives to develop an active parish with open arms and generous hearts towards all who visit or worship with us. 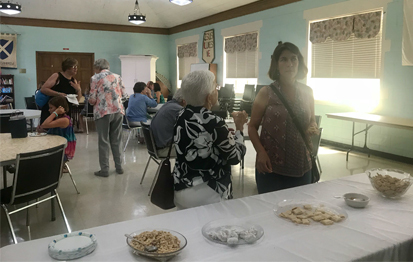 Through ongoing activities and special events, such as monthly dinners, coffee hour following service, picnics, etc., we seek to encourage a deeper sense of Christian community that includes people of all ages and interests. The Parish Life Committee has a group of volunteers known as the Shuttle Saints. They are available to transport folks who have a need to get to a doctor’s appointment, church meeting or service, or any place and find their usual mode of transportation unavailable. Call the church office (252-727-9093) to access the saintly shuttle. 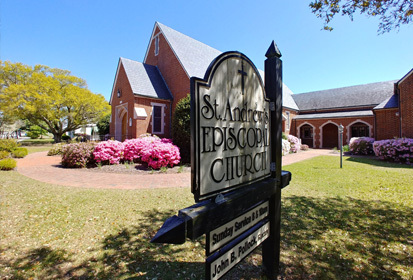 Besides the people, the Buildings and Grounds of St. Andrew’s Episcopal Church is our most beautiful resource. Our goal is to give glory to God in the care and use of our beautiful building and our church yard. The main building of St. Andrew’s, which houses the Nave and Sanctuary, was built in 1952, followed by The Parish Hall in 1957. Later in the 1970’s the Christian Education Wing was added to complete the current complex. The land on which the church sits was donated in 1932 by Chattanooga Paving Contractor Larry B. West. It took almost 20 years for the members to organize and raise enough money to begin building. In fact, the ministry of our Thrift Shop began as a way to raise funds for our building. Over the years, the beauty of our grounds have been of high priority. We have a Memorial Garden with Columbarium, and our Playground was blessed and dedicated in 2011 by former Presiding Bishop of The Episcopal Church, The Right Rev. Frank Griswold. The Order of the Daughters of the King (DOK) was established in 1885 in The Episcopal Church and is the only Spiritual Order for lay women in the Episcopal Church. It is a group of women, trying to implement confirmation their vows to “pray, work and give for the spread of Christ’s Kingdom” by becoming members of a spiritual Order for lay and adopting a Rule of Life based on Prayer and Service. The St. Andrew’s chapter was established in October 2016. The DOK meet once a month to replenish their commitment and add prayers for those who have requested. If you have a special prayer request, please feel free to confide in either Jerry Rita Brunton, Emily Roderick, Kim Livingston, or Kit Williamson. The DOK members will be praying for you daily.